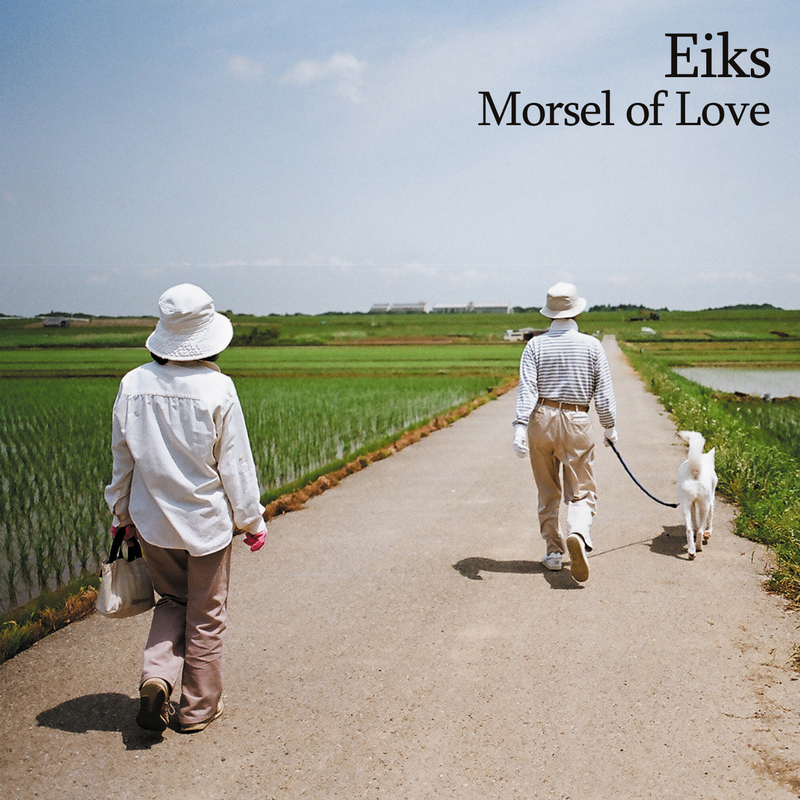 ‘Morsel of Love’ is a wonderful journey through a fictional world conjured up by Japanese-British singer-songwriter, Eiks. Her choice of lyrics are emotive and magical, the melody line long drawn out and meandering in tune and tale; the absent minded hummings of a daydreamer. The guitar introduction to the song feels relaxed, but is in fact in driving five eight time and Eiks’ use of the major and minor third makes for an ambiguous tonality. The juxtaposition of major and minor, driving rhythm and stretched out melody gives the song a dual nature and the inconclusive ending on the seventh makes it feel as though it disappears like a dream; a cloud drifting through the subconscious. The cello adds a beautiful warmth to the guitar and voice, filling out the harmonies and enhancing both the melancholic feeling of the minor and the bright, uplifted passages in the major. The harmonisation of the melody with a second vocal line further enriches the changeable tonalities and offers a synchronised echo adding to the dreamlike quality of the song. Evidently a thoughtful composer and sensitive artist, Eiks has created a unique soundscape and ‘Morsel of Love’ is a song at once simple and intricate, which reveals this in all its splendour.